Stagecoach have been forced to cancel buses and commuters have faced long delays in Peterborough city centre as day two of five months worth of roadworks get underway on Bourges Boulevard. Stagecoach have already been forced to cancel the 08:35 QG to Whittlesey and back due to heavy traffic conditions and Peterborough Telegraph readers have taken to social media to express their dismay at the traffic chaos. Phil Adlam tweeted: "Took me 25 minutes to do about half a mile this morning. Cannot wait to do that for the next five months." Jon tweeted: "What a stupid idea of starting these roadworks at 7am. Town is a car park. Frustrated drivers on wrong side of road to get to the bridge." The 23 week project will see a right-turn into the long-stay station car park installed from near Priestgate, to go alongside new traffic lights and a new pedestrian crossing. A Peterborough City Council spokesman said there is not enough capacity to incorporate a right turn coming out of the station car park. Motorists are being warned to expect disruption during this period. Cllr Peter Hiller, the council’s cabinet member for growth, said: “The work is being carried out as part of the council’s growth agenda, with a long term view to opening up the future development potential of the site. 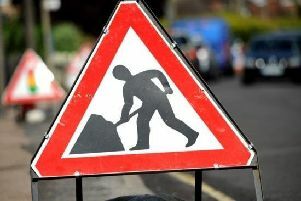 Works are expected to run from 7am until 4pm most days with permanent, single lane closures in place, although these may be removed at weekends. All full road closures will be carried out at night when works such as carriageway surfacing take place. The entrance to the car park between the Rivergate and Queensgate roundabouts, near Buckles Solicitors, will be shut during the works, with the only entrance via Station Road. The project will cost £1.4 million and is being funded by the Greater Cambridge, Greater Peterborough LEP. A previous £4.5 million scheme on Bourges Boulevard, just past the Queensgate roundabout, which caused long city centre delays, lasted from May 2014 to July 2015.